The Heat held on to get a 1 run victory against the Seattle Studs Thursday night 4-3. 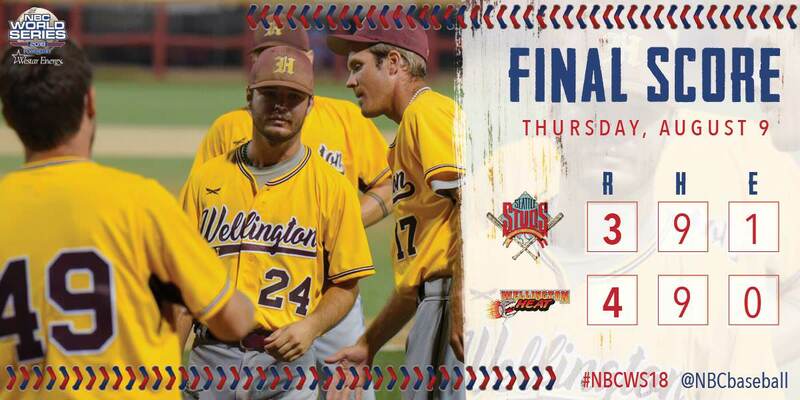 The Heat are now 4-0 in the NBC World Series and take on Team USA in the semi-finals tonight at 9:30. The KCLB is now 7-1 in the NBC World Series. Come out tonight and Support your KCLB Wellington Heat.